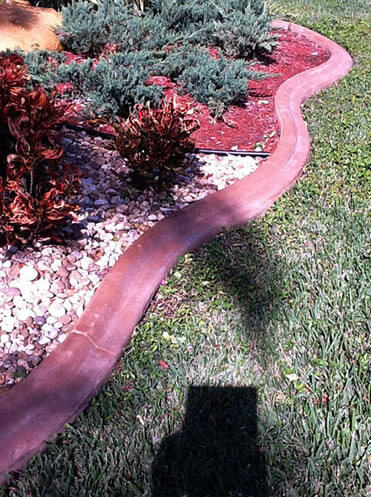 We specializes in decorative Concrete Curbing and decorative garden edging, specifically suited to commercial & residential landscapes. 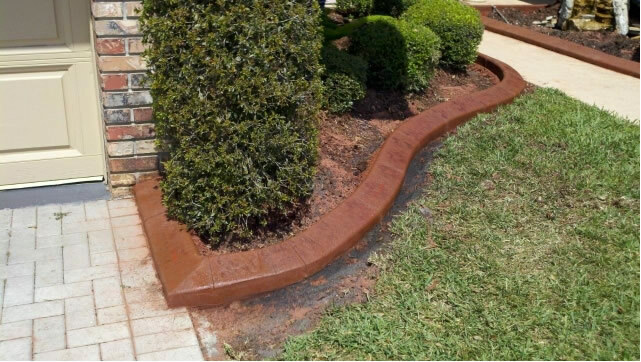 We offer many styles of extruded concrete curb to edge shrub and flower beds, tree rings and edges for sidewalks, patios and fire pit pads. Finishes for the curb include a choice of a wide variety of colors and stamp patterns to give your curb an "antique" and natural appearance. Our concrete curb machine is specially designed to create a continuous concrete edge along a contoured or straight trench. Grass and weeds can grow into landscape beds with ease. This causes a lot of maintenance. Individual blocks or bricks pop lose, shift and allow grass to grow between bricks which creates maintenance issues! Installs one continuous concrete border and will last for many years! No maintenance issues, no rot, no shifting timbers and blocks or safety hazards. 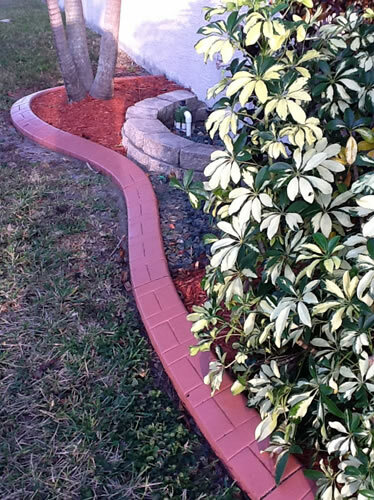 We offer many styles of extruded concrete curb to edge shrub and flower beds, tree rings and edges for sidewalks, patios and fire pit pads. With hundreds of thousands of feet of installed curb under our belt, we are experienced in providing a superior quality product, backed by a "one year warranty" for the up-most customer satisfaction. 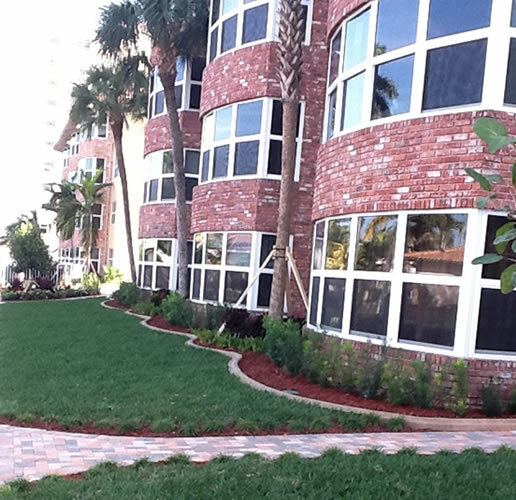 Our competitive prices include completion of the entire job from trenching to complete installation. 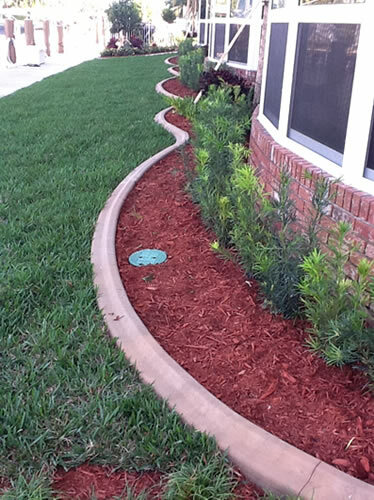 In addition, we offer our expertise on appropriate drainage and sealing the concrete curb. 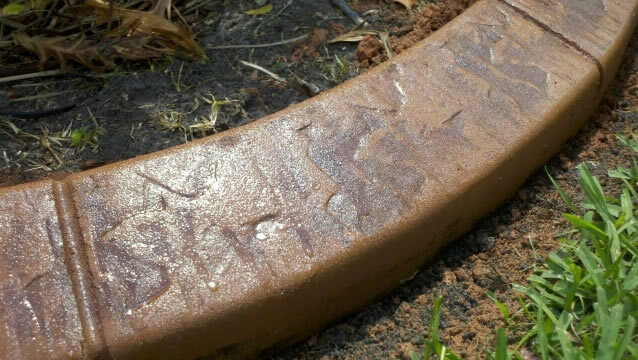 Our materials are top of the line from a very clean aggregate sand to insure accurate color.